Domestic animals suffer cruelty and abuse all too frequently. Often unreported, animal cruelty has many causes, ranging from ignorance to outright viciousness. Public education is the primary means of preventing animal abuse. But when education fails, the legal process can be an effective tool. Many times the act of prosecuting an abusive individual will motivate them to adhere to humane principles they have previously ignored. Before this can be accomplished, however, animal advocates need to know what acts are illegal under current laws. Three types of laws cover the treatment of domestic animals: city or county ordinances, state statutes, and federal statutes. State and federal statutes (also referred to as "code") are often implemented by regulations that spell out minimum standards of animal care and treatment under the law. Local ordinances usually address animal control services such as leash laws, handling of dangerous animals, treatment of stray animals, and rabies and other disease control. 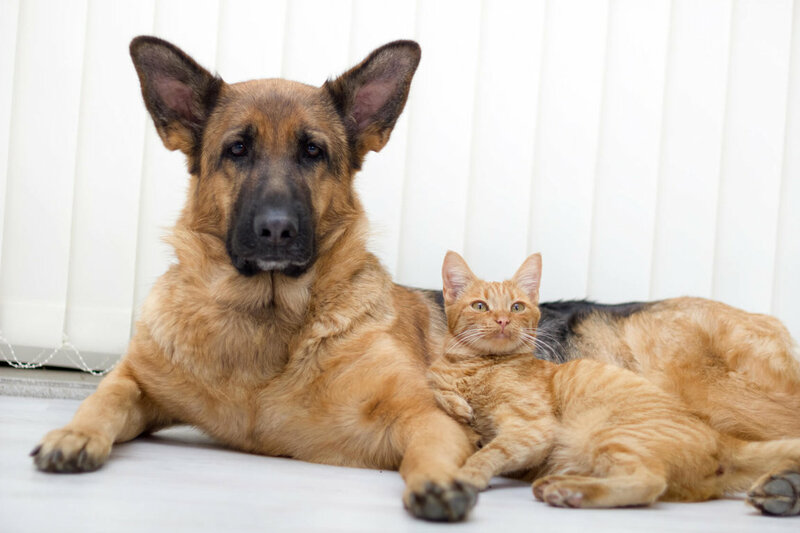 Licensing of companion animals as well as the setting of limits on the number and type of animals that may be kept by individuals are the authority of city or county animal control agencies. In smaller municipalities, the animal control function may be delegated to a local humane society. Animal cruelty and pet shops, if covered, usually fall under state statutes. Regulation of companion animal breeding may be addressed by either local ordinance or state law or both. Since Massachusetts passed the first animal cruelty law in 1835, every state has passed laws to protect animals from abuse. Every state also has its own humane groups and organizations, both local and national in scope, which help propose new and amended legislation to improve existing laws. As might be expected, each state also varies in the wording of those laws and the extent to which they protect animals from harm. All states now have laws with felony provisions for some form of cruelty. Fines can range from $100 (a mere slap on the wrist) all the way up to $20,000. Imprisonment can range from none to five years. About a third of the states have no other penalties, while some can order offenders to receive psychological counseling, forfeit the animal, and/or pay for the care of the animal. Some states increase penalties for repeated offenses. Unfortunately, many states exempt farm animals to varying degrees from their cruelty statutes. Other states, however, have passed laws that regulate the transportation and handling of animals used for food. To obtain a copy of the laws in your state, contact your nearest humane society or SPCA, animal control agency, law enforcement office (sheriff or police), or your local librarian for assistance. If these agencies in your area can only offer limited or no help, try your District Attorney, State Attorney, or a comparable law enforcement official in your area. Federal laws intended to protect domestic animals include the Humane Slaughter Act, the Federal Meat Inspection Act, the Horse Protection Act, and the Animal Welfare Act. The Humane Slaughter Act, passed in 1958, requires packing companies that sell meat to the federal government to use "humane slaughter methods". The Act defines these methods as those which render an animal insensible to pain by mechanical, electrical, chemical or other means. These methods must be utilized rapidly and effectively before the animal is hoisted, shackled, thrown, cast or cut. The Act exempts kosher killing methods, where the animal is slaughtered while conscious for religious reasons. Federal law, however, does not include poultry, so it is up to each state to cover chickens and turkeys under state statute. In 1978, the Humane Slaughter Act was amended to include the Federal Meat Inspection Act, which requires that all livestock slaughtered for meat imported into the United States be "humanely" slaughtered. This means foreign packers importing to the U.S. must meet the same guidelines required of U.S. packers. This Act also empowered federal meat inspectors to shut down U.S. slaughtering lines immediately if any cruelty is observed. Slaughtering can only resume after the observed deficiencies are corrected. Most facilities in the United States are covered by the Humane Slaughter Act, although some packing houses (which don't participate in the federal meat inspection program) are subject only to state legislation. Although laws exist in some states to protect animals in these facilities, more legislation is needed. The Horse Protection Act of 1970 bans the use of devices or methods known as "soring" to affect the gait of horses such as the Tennessee Walking Horse. The forefeet of these horses are deliberately made sore by blistering agents, burns, cuts, lacerations and chains to produce an elongated smooth running walk that is considered desirable in the showing of the breed. In 1976 the law was strengthened by an amendment that made soring a felony offense punishable by imprisonment up to three years and fines up to $5,000. The amendment also broadened the definition of "sore" by including any horse that demonstrated unusual sensitivity in both forelegs and expanded protection to other horses often drugged to hide the effects of soring while performing. Many states have also passed legislation against similar cruel acts to horses. Congress passed the Animal Welfare Act (AWA) in 1966, and amended it in 1970, 1976, 1985, 1990, and 1991. Originally called the Laboratory Animal Welfare Act, the legislation now extends protection to certain warm-blooded animals maintained by animal dealers, transporters, exhibitors and research facilities. The U.S. Department of Agriculture (USDA) administers the AWA through its Animal and Plant Health Inspection Service (APHIS). The AWA mandates minimum standards of care with regard to housing, handling, sanitation, nutrition, water, veterinary services and protections from extreme weather. The 1985 amendment also requires that dogs be exercised and that facilities provide for the psychological well-being of primates. The AWA protects dogs, cats, non-human primates, guinea pigs, hamsters, rabbits, farm animals used in research or exhibition, and horses used in nonagricultural research. The regulations do not extend to the majority of research animals - rats, mice, fish, and birds. Animal protection organizations continue to work for inclusion of these animals within AWA guidelines. Animal dealers, animal transporters, animal exhibitors and research facilities must all comply with the licensing and regulatory requirements of the AWA. The original Laboratory Animal Welfare Act actually came about as a result of animal dealers who engaged in cruel and illegal activities. Class A dealers operate as breeding services for research animals, but Class B dealers sell animals received from "random sources." Those sources include auctions, pounds, "Free to Good Home" ads and "pet theft". APHIS agents conduct annual, unannounced inspections of animal dealer facilities in an effort to ensure the animals are properly housed and fed. They also look for complete documentation as to the source and destination of the animals. However, pet theft, abuse and inhumane conditions continue to dominate the animal market. Eliminating Class B dealers altogether remains a major goal of the animal movement. The AWA does not currently classify retail pet stores, hobby breeders, public pounds, private shelters or boarding kennels as animal dealers. Animal exhibitors operate animal acts, carnivals, circuses, public zoos, "roadside zoos" and marine mammal displays. Rodeos, animal preserves, hunting events and private collections of animals are not regulated by the AWA. Most of the animals exhibited are species not native to the United States, but exhibited animals may also include domestic farm animals and wild animals native to this country. Licensed exhibitors under the AWA either obtain or dispose of animals in commerce or exhibit them for compensation. Since these regulated businesses make money from the display of their animals, the public can play a major role in enforcing the law by reporting violations to APHIS. Research facilities include institutions using regulated animals for research, diagnostic laboratory tests, quality control testing and college instruction. The AWA covers both private and state-owned facilities, as well as drug firms and diagnostic laboratories. Federal facilities, school laboratories, agricultural research stations and institutions using only biologic (dead) specimens or non-regulated animals are exempt from the law. Experimentation on animals continues to generate large amounts of money for universities and pharmaceutical companies, and much of the public continues to support it out of fear of preventing the next "cure." Minimal regulations are therefore imposed on animal research. Although the AWA requires that the pain inflicted on laboratory animals be curbed by medication, no relief need be given if the experiment itself involves pain monitoring. Although the AWA theoretically forbids the unnecessary duplication of a specific experiment using regulated animals, it does not permit APHIS to interfere with research procedures. In short, the regulation of laboratory animals mandates only basic care, not any type of humane treatment. The regulations that implement the most recent amendment to the AWA are also disturbing, particularly with regard to laboratory animals. Although Congress required the Secretary of Agriculture to draft comprehensive standards to define such terms as "humane" and "primate psychological well-being," he did not. Instead, the Secretary drafted regulations that allowed individual research facilities to document their own definitions of these terms. As a result, research facilities do not have to answer to any authority interested in the care of animals. Local and state laws are enforced by police departments. In some states agents of a local humane society have the authority to issue citations under the animal cruelty statute. The federal laws are administered by the U.S. Department of Agriculture. USDA inspectors are stationed at federal slaughterhouses to check for compliance with the Humane Slaughter Act and Federal Meat Inspection Act. Unfortunately, very few violations are cited and investigations have revealed that U.S. humane slaughter laws are being routinely ignored as meat plants grow larger. Former USDA employees report that live cattle are routinely skinned, squealing pigs immersed in scalding water, and still-conscious animals abused in other ways to keep production lines moving quickly. The USDA is also responsible for administering the Horse Protection Act and the Animal Welfare Act. The Animal Care division of APHIS enforces the AWA through licensing commercial animal breeders, dealers, brokers, transportation companies, exhibitors and research facilities. The agency also searches for unlicensed individuals or facilities and investigates complaints from the public. APHIS inspectors are required to make unannounced inspections at least once annually. If an inspection reveals deficiencies in meeting the AWA standards and regulations, the inspector instructs the facility to correct the problems within a given time frame. Uncorrected deficiencies are documented and possible legal action is considered. Legal actions include Official Notices of Warning or agency stipulation letters that set civil penalties for infractions. Civil penalties include cease-and-desist orders, fines and license suspensions or revocations. Although the AWA requires that inspections be conducted annually, not all facilities are reviewed that frequently. Only approximately 70 field inspectors are employed by APHIS to perform compliance inspections at more than 10,000 regulated sites per year. This number includes 4,200 dealer, 2,200 research, 2,700 exhibitor and 1,300 carrier sites. Many deficiencies are noted among these facilities each year but less than 1% are cited for violations, and an even smaller number have their license suspended or revoked. For farm animals and any inhumane treatment such as lack of food, water, shelter or necessary medical attention, report directly to your local humane organization or animal control agency. In areas not served by such an agency, contact the local law enforcement office and the nearest humane agency that may be able to offer assistance. If you observe a violation of a county or city ordinance (dog/cat licensing, leash law, animal bite, etc. ), contact the appropriate animal control agency. In some areas that function may be under the jurisdiction of the humane society, animal control, dog warden, police department or even the health department. When reporting a complaint, obtain all available information concerning the alleged cruelty, such as the actual street address with directions to the site, and names if known. Law enforcement officials are more cooperative when you can offer solid evidence such as photographs, video and statements from witnesses with their name, address, telephone number and description of what they witnessed. The Animal Welfare Act is administered by the Animal Care division of the USDA's Animal and Plant Health Inspection Service (APHIS). The main area where APHIS receives information from the public is in the care and treatment of animals used in entertainment. If you witness an animal at an exhibition (roadside zoo, circus, carnival, marine mammal show, zoological park, etc.) with inadequate food, water, space, or veterinary care, report the incident to APHIS. You can call or write a letter giving details of the incident, and the agency will send an investigator to the site. Contact the office nearest to you. APHIS's website, www.aphis.usda.gov, includes information about routine and complaint inspections of all individuals and facilities licensed under the Animal Welfare Act. APHIS has the authority to take custody of animals whose safety is in imminent danger. Even if agents feel that the situation does not merit such serious action, they will set deadlines for correcting the mistreatment. If the exhibitor does not improve conditions by the deadline, penalties can be assessed and licenses revoked. Given the alarming number of animals displayed for profit, citizens must participate in enforcing the laws for abusers to be disciplined. Remember that animals and facilities not covered under the AWA may be covered by your state anti-cruelty or wildlife statutes; in many cases, the animals may be covered by both. Your local librarian, or law library if you have access to one, can help you obtain information about or copies of federal or state laws.